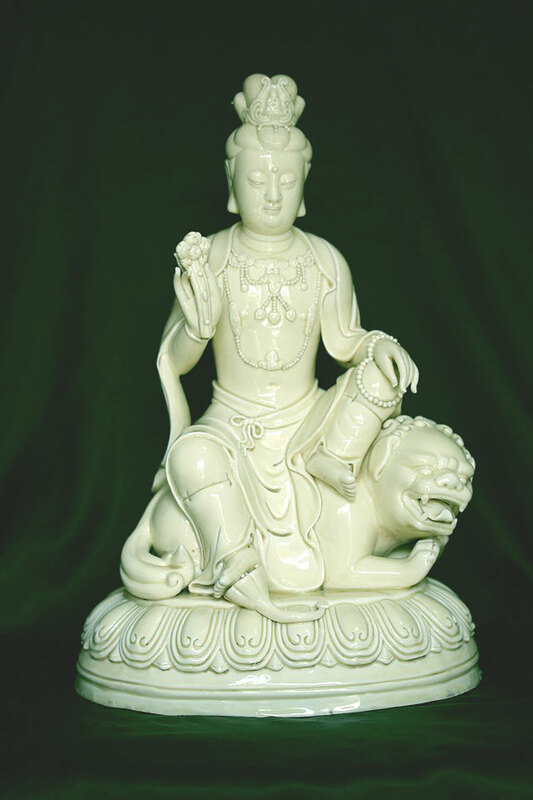 Manjushri is the oldest, best known and most significant Bodhisattva in the Mahayana Buddhist pantheon and was first referred to in early Mahayana sutras such as the Prajnaparamita (Perfection Of Wisdom) Sutras. Within Vajrayana Buddhism, Manjushri is a meditational deity and considered a fully enlightened Buddha. In Shingon Buddhism, he is one of the Thirteen Buddhas to whom disciples devote themselves. 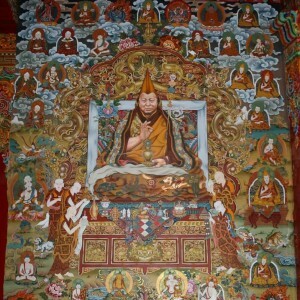 He figures extensively in many esoteric texts such as the Manjusri-mula-kalpa and the Manjusrinamasamgiti. 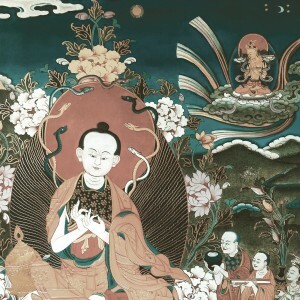 Through his early association with the Prajnaparamita Sutras, he came to symbolise the embodiment of prajna (transcendent wisdom). 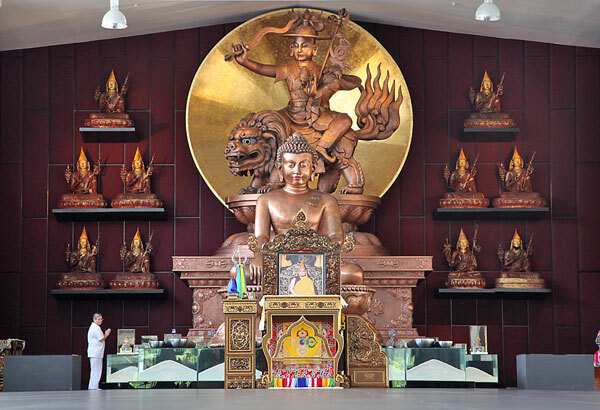 Manjushri is most often depicted as a male Bodhisattva wielding a flaming sword in his right hand. The sword represents the realisation of transcendent wisdom which cuts down ignorance and duality which binds sentient beings to a cycle of suffering and unhappiness. In Chinese and Japanese Buddhist traditions, Manjushri’s sword is occasionally replaced with a ruyi scepter, especially in representations of his Vimalakirti Sutra discussion with the layman Vimalakirti. 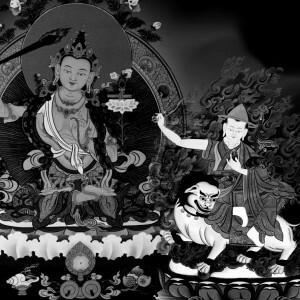 This is significant because in this form or aspect, Manjushri is playing the part of an arhat or a liberated person (one who has attained Nirvana) and is not wielding a wisdom sword to help others transcend or win over ignorance. A ruyi scepter serves as a ceremonial scepter in Chinese Buddhism or a talisman symbolising power and good fortune in Chinese folklore. A traditional ruyi has a long S-shaped handle and a head fashioned like a fist, cloud, or lingzhi mushroom. Dorje Shugden is an emanation or aspect of Wisdom Buddha Manjushri. Just like Bodhisattva Manjushri, Dorje Shugden too wields a flaming sword in his right hand but his sword is curved. In contrast to a straight sword, a wavy sword is reminiscent of the South East Asian keris dagger and greatly increases the severity of wounds inflicted. The keris is also effective in up-close martial arts. Indeed in the past, they were carried by warriors as a secondary armament in case they lost their main weapon, which was usually a spear and used for fighting at a distance. Hence, the significance of Dorje Shugden’s sword is not only that it is the same Manjushri sword of discriminating wisdom, but it does its job “better”. 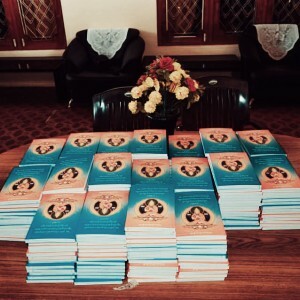 It also indicates that Dorje Shugden stands by very close to us to do his work. Thus the sword of Manjushri cuts ignorance and suffering that arises from ignorance. And, Dorje Shugden holds a very similar sword in similar fashion. And, the curved sword is used for close combat. So, that signifies that Dorje Shugden is very close to us to slay our ignorance and clear our suffering. Very interesting seen from this perspective. Thanks for a fresh new approach. When I first encountered at the Dorje Shugden’s sword, the deity looks familiar because as the article mentioned, the wavy sword looks like a South-East Asian keris. 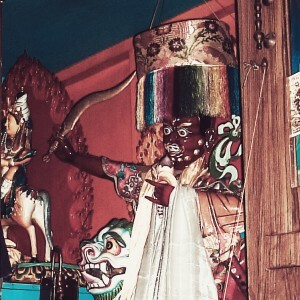 It is one of the features that attracted me to him because I had never seen a Tibetan Buddhist deity with a Keris before. Later on, I learned that Dorje Shugden holds a wavy sword because it is more destructive than a straight sword. Dorje Shugden used the wavy sword to cut our ignorance, the root of our suffering faster. Just like our spiritual teacher who teach us Dharma and use various skillful means to help remove our ignorance. Thanks for the explanation. I know Manjushri through Vajrayana and He is always holding a sword. Thanks for highlighting that He is also holding a ruyi scepter so that we can recognise Him especially in Mahayana tradition. Also, thanks for the explanation of the kris by Dorje Shugden. I have always curious that why is Dorje Shugden holding a kris? Does it mean He have more affinity to us in South East Asia, like Malaysia and Singapore? Is that the reason why His lineage is now spreading in this part of the world? This is important for us to get away from the negative delusions arising from anger, desire and ignorance. 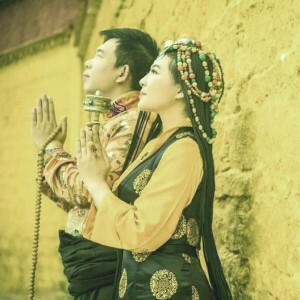 As such, have faith in Manjushri and Dorje Shugden (an emanation of Manjushri) and do the practices to help us to clear our delusions and ignorance, and helping us to gain wisdom. The swords of Manjushri and Dorje Shugden are to cut down ignorance as the cause of suffering. Every item on Dorje Shugden carries a meaning. This includes the sword on his right hand. The sword is the same as Buddha Manjushri but only it is curvy in shape. The sword is to cut our ignorance, suffering and unhappiness. This will in turn help us practitioners to achieve enlightenment. The 3 poisons, ie. 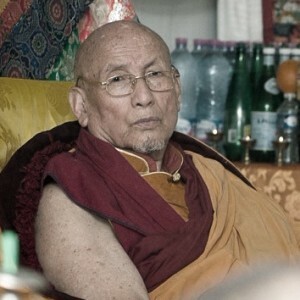 ignorance, attachment and anger are the root cause of all our suffering and our continue rebirth in the samsara. In order for us to achieve enlightenment, we need to get rid of the three poisons. A sword is a weapon for fighting and killing our enermy. As for Manjushri’s sword, it is a tool to help us cut away ignorance. Dorje Shugden hold a wavy sword, which is more powerful in helping us, therefore, we should rely strongly on Dorje Shugden practice, as he is the protector of our time. 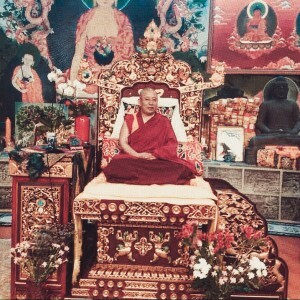 The three poisions are the root cause of all our suffering and our continuous rebirth in samsara. We need to get rid of the three poisons for us to achieve enlightenment. Both Manjushri and Dorje Shugden also hold a sword that help us to cut our ignorance. But Dorje Shugden’s sword is more powerful due to its wavy shape. Therefore, we can rely strongly on Dorje Shugden’s practice as Dorje Shugden is the protector of our time. As the saying goes, love is in the details. Small and subtle details like the meaning behind the curved flaming sword speak volumes of the compassion and wisdom of the enlightened beings. It is nothing short of amazing that enlightened beings would go through so much, compromising and adjusting themselves to get closer to “karmically degenerates” like me just to provide more opportunities to get Dharma. 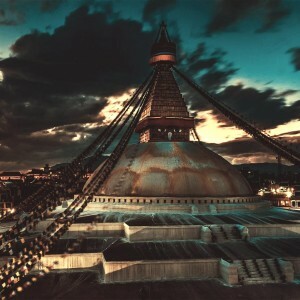 Thank you for this concise write up about Dorje Shugden’s sword which allows for greater appreciation and gratitude for the significance of this practice. 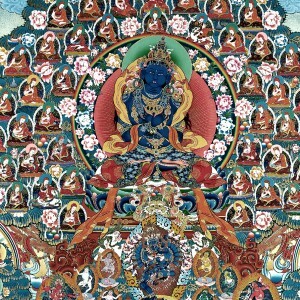 Lord Manjushri has been venerated widely since Buddha’s time as the Lord of Wisdom, who symbolizes transcendent wisdom. Among the iconography of Lord Manjushri, the sword in His right-hand offers a significant meaning, it represents the realization of transcendent wisdom which cuts down ignorance and duality which binds sentient beings to a cycle of suffering and unhappiness. 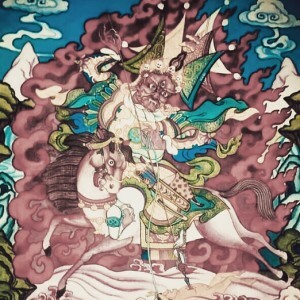 As the emanation of Lord Manjushri, Dorje Shugden wields a sword in HIs right hand too. The sword that Dorje Shugden wield is a wavy sword that is more deadly on the enemies (which is the Three Poisons) than a normal sword. 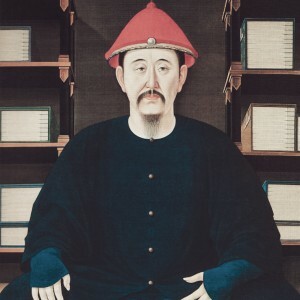 In the same fashion how Dorje Shugden is karmically close to us hence able to render aids to us swiftly, His sword is the perfect weapon to effectively cut out the Three Poisons, which we so desperately need to get rid of. Manjushri’s wisdom sword “hews down suffering wherever its sprouts appear, clearing away the darkness of ignorance”.Likewise Manjushri Protector Dorje Shugden wields a wisdom sword. Only, his is a wavy sword which works more effectively to cut the mind free of ignorance and dualistic concepts, the root causes of our being bound to a cycle of suffering. 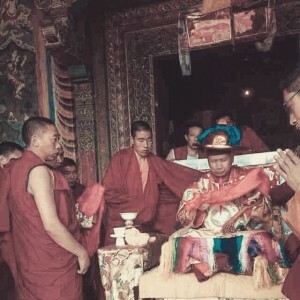 As the wavy sword is seen to work for close protection and defence activities, we can trust Dorje Shugden to stand close by us all the time to protect us. Thank you for sharing this article. Wisdom sword is the best sword as it cuts a person’s ignorance and delusions. Ignorance and delusions are poison and it causes us to be still in samsara and suffering. Manjushri the Buddha of Wisdom holds a flaming sword in his right hand. It represents Manjushri has realization of absolute wisdom which cut through ignorance that trap sentient beings in the cycle of sufferings. The difference between Manjushri’s sword and Dorje Shugden’s sword is the wavy sword similar to kris. According to some text, wavy design of the blade also looks like the Tibetan ‘water-knife’ that used to gut fish. 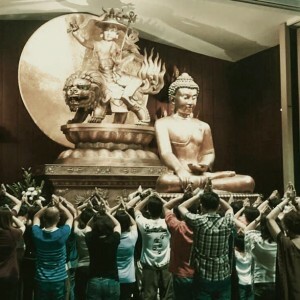 The wavy shape will cause greater damages, and this indicating Dorje Shugden has the ability to cut our ego and delusion, aggressively to liberate practitioners from samsara.